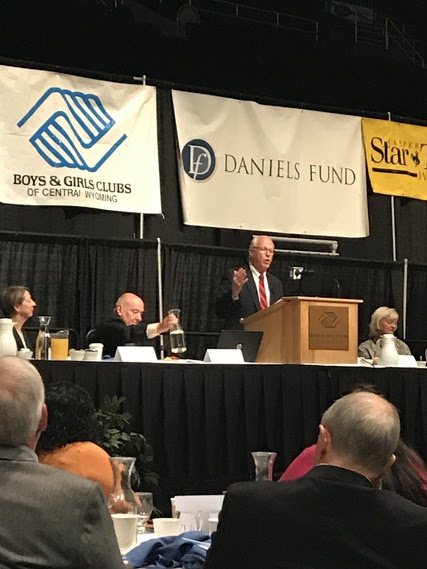 It was, once again, a pleasure to attend the Boys and Girls Club of Central Wyoming annual breakfast. This year Henry Winkler, best known as “The Fonz” was the keynote speaker. He told his compelling story about growing up with dyslexia and his drive to be an actor. Each year the Boys and Girls Clubs across the state select “youth of the year.” Local and state winners receive scholarship money. At the breakfast, UW President Nichols announced that the university will increase scholarship dollars to club students and expand college visit opportunities. Best of luck to all of the outstanding youth who are finding their way with the help of clubs. In 2015-16, over 8,100 students participated in 21st CCLC school year programs with 52% or 4,265 attending regularly (30+ days each year). Summer programs served over 7,000 students. Active 21CCLC grants in 21 of 23 Wyoming counties. 53% of Subgrantees are school districts with community partnerships and 47% are community-based organizations, primarily non-profit, with school district partners. FY 2016 21CCLC Allocation to WY was $5,716,698 with 95.5% of allocation going direction to subgrantees. This week, WDE staff and education leaders from across the state attended and presented at a number of conferences including Wyoming Working Together, an annual conference sponsored by the Wyoming Economic Development Association, Chambers of Commerce, and the Business Council. As computer science and career pathways gain a greater foothold, partnerships between education and business/industry become even more essential. The Wyoming Business Alliance will host the Governor’s Business Forum in Cheyenne on November 7-9. Former State Superintendent Judy Catchpole, Dr. Laurel Ballard of WDE, and Senator Affie Ellis who is a member of the Senate Education Committee, are all presenting. Again, the connections between business, industry, education, and economic growth are at the forefront of many conversations in our state. 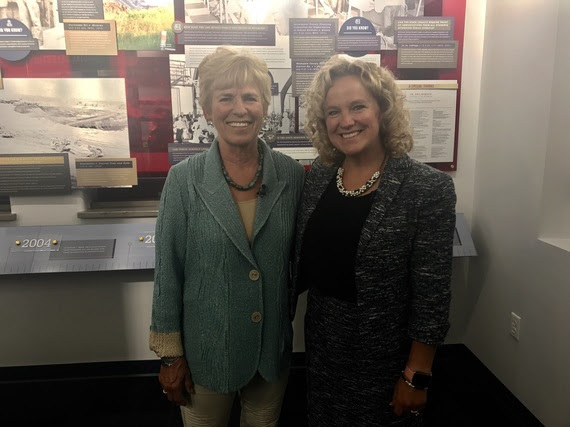 Wyoming PBS will feature our state’s Judicial Learning Center (JLC) in an upcoming episode of Wyoming Chronicle. This week, Former Chief Justice Marilyn Kite and I took PBS’s Craig Blumenshine on a tour through the JLC. This is a one-of-a-kind experience for students and patrons of all ages. The JLC, open for less than a year, has been enjoyed by many classes, groups, and citizens. The JLC is full of learning opportunities with all activities aligned to the Wyoming Content and Performance Standards. Do you have teachers in your district who could develop a great lesson plan about Wyoming’s judicial system? The JLC is holding a contest and the deadline to submit lesson plans is extended. The grand prize winner receives $2500.